Playboi Carti is one of the few "SoundCloud rappers" that doesn't have vivid colors in their hair. People like Lil Uzi Vert, Lil Yachty, and others have always made a strong impression based on their looks but Carti has been satisfied letting his music do the talking. With the success of his last album, people are looking forward to his follow-up project Whole Lotta Red, which should be releasing this year. Carti has been in a relationship with Iggy Azalea for a few months and she may have rubbed off on him a touch because the AWGE member just went blond. 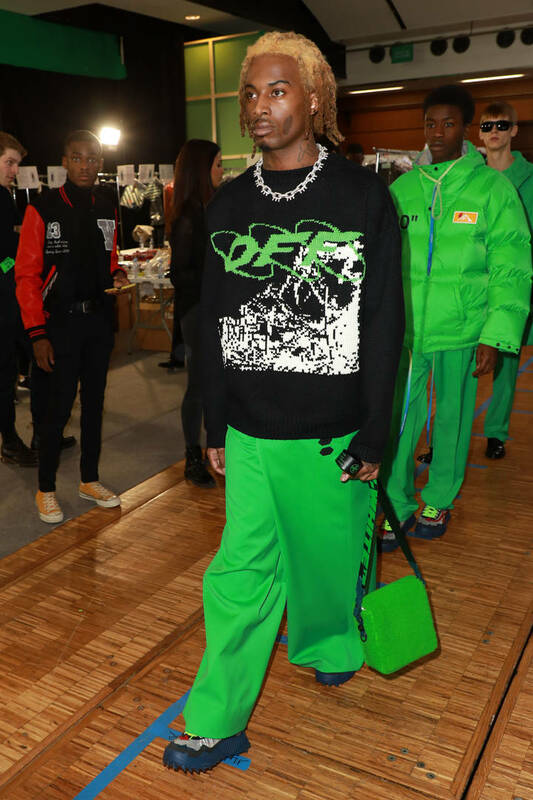 During his catwalk display for Virgil Abloh's Off-White show in Paris, Playboi Carti debuted a new look on the runway. The focus was meant to be on the sweatshirt he was rocking but people were also interested in Carti's bleached locks. Travis Scott is rocking a similar look these days, coloring his usually black hair blond as well. He might just be using this shade as a transition so it's easier to go red once his album is being promoted. It would make sense, given the title and all. What do you think of his new look? With his fresh style, are we in for a new Carti musically as well?